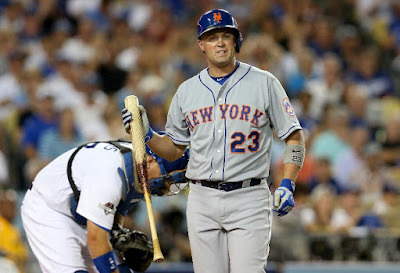 Michael Brent Cuddyer was born on March 27th 1979, in Norfolk, Virginia. He attended Great Bridge high school at Chesapeake, Virginia where he was an all around star athlete. 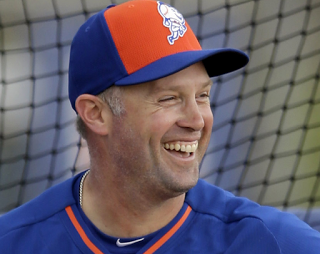 Cuddyer excelled in football, basketball & baseball, where he eventually won the 1997 Gatorade Baseball Player of the Year in his senior year. In 1996 he was part of the Bronze medal winning Team USA club.The six foot two, right hand hitting Cuddyer plays outfield, first base, third & second base. Also in 1997, he was the Minnesota Twins number one pick (the 9th pick overall) but did not sign until that August. By 2001 he was hitting 30 HRs at AA New Britain & got a late call up to the Twins big league team.Cuddyer debuted on September 23rd in a 4-2 loss to the Cleveland Indians. He walked in his first at bat then later doubled for his first MLB hit. In eight games he hit .222. In 2002 he played most of the year at AAA Edmonton, where he hit 20 HRs & hit .309 in 86 games. He was back up with the Twins for 41 games batting .259. On July 20th he hit his first career HR, it came off Jamie Walker & the Detroit Tigers in a 14-4 romp at Tiger Stadium. In that game he had his first four RBI game as well as collecting three hits. 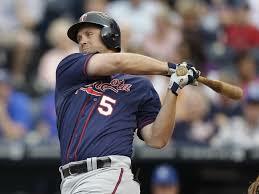 In 2003 he had another season back & forth to the minors as well as the Twins team. That season he played in his first post season, collecting five hits in the ALDS against the Oakland A's hitting .385. This was the only year he would get past the ALDS in six trips to that series while in Minnesota. In 22 career post season games he is hitting .338. By 2004 he was up for good with the Twins, playing at third base (43 games), second base (48 games) & in the outfield (15 games). In that years ALDS he hit .467 (7-15) with two RBIs. The next year he struggled at third base as the Twins replacement for Corey Koskie who moved on to Toronto. 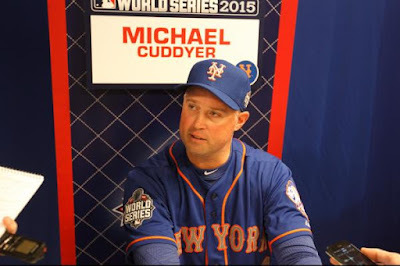 Cuddyer eventually became a reserve player & needed surgery to repair a torn meniscus. After he recovered he switched to the outfield full time & became the teams clean up hitter. In 2006 he had one of his biggest seasons up to that point, driving in a career high 109 runs (second on the club to Justin Morneau) with 41 doubles (9th in the AL) 24 HRs & a .284 average. His strong arm had him lead the league in assists in the outfield in 2006 (11) & in 2007 (19). In 2008 he turned a league leading five double plays from the outfield. In 2009 he hit a career high 32 HRs (10th in the AL) with 34 doubles, seven triples (also 10th in the AL) a .276 average & 94 RBIs, the second best RBI mark of his career. His next year he fell off to 14 HRs but still drove in 81 runs with 37 doubles, the second best mark of his career in that category. He rebounded a bit in 2011 hitting 20 HRs with 70 RBIs & a .284 average. That year he was the managers choice for the AL All Star team making his first Mid Summer Classic appearance. 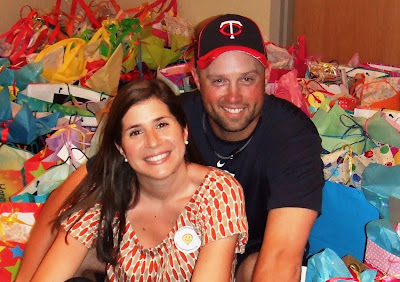 On July 25th, in a 20-6 loss to the Texas Rangers, Cuddyer became the first Twins position player since John Moses did it in 1990. Cuddyer gave up a double, single & walk before getting the final out not allowing a run. 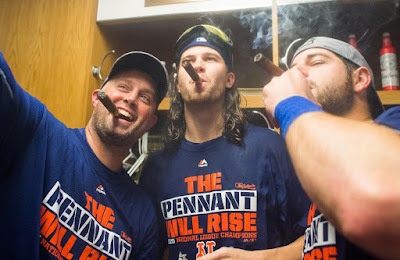 In December of 2011, he cut his ties in Minnesota & moved over the National League signing with the Colorado Rockies. In Colorado he chose to wear the uniform number 3 in honor of his friend Harmon Killebrew, whom had just past away. He became close to Killebrew while in the Twins organization. 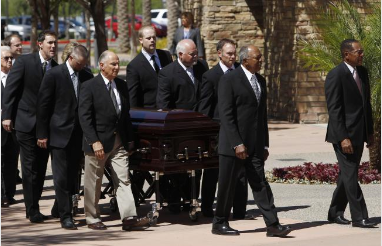 Cuddyer was even a pall bearer at Killebrews funeral joining Rod Carew, Paul Molitor, Tony Oliva, Ron Gardenhire, Joe Nathan & Justin Morneau. In his first season in Colorado, he was limited to 101 games due to injury. He hit .260 with 16 HRs 30 doubles 16 HRs & 58 RBIs. 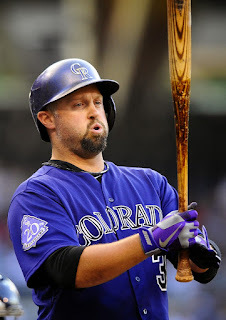 In 2013, Cuddyer had a fantastic year, he won the AL batting title by ten points with a .331 average, his career best. He hit 20 HRs with 31 doubles & 84 RBIs posting a .530 slugging % (4th in the NL). That season he broke the Rockies club hitting streak record, once held by Dante Bichette at 25 games. He made his second career All Star team, in the game played at Citi Field. In 2014 he was off to a good start hitting .316 with three HRs & four doubles, after 16 games but then suffered a strained hamstring. He was on the DL, returned in May but then went down with a fractured shoulder & missed two months of action. On August 17th, he became the 30th player in MLB history to hit for the cycle twice in his career. This came in the second game of a double header, against the Cincinnati Reds in a Rockies sweep. His first cycle had come back in 2009 in the AL with the Twins. Cuddyer is just the third player in MLB history to hit for the cycle in both leagues, joining Bob Watson & former New York Met; John Olerud. He went onto the DL for a third time that season, finishing up playing in just 49 games. He hit .332 with 10 HRs 15 doubles & 31 RBIs. 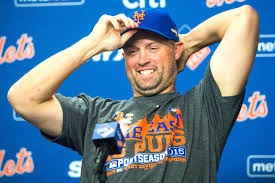 Free Agent: In early November the New York Mets gave Cuddyer a two year deal at age 35. The Mets needed offense, & an outfielder at that time. He was also expected to play right first base, behind Lucas Duda. Quotes: Mets assistant GM John Ricco - "I don't think it's any secret we are looking to improve offensively, and there are not a lot of options out there on the free agent market, or even on the trade market. We thought this was a way to clearly upgrade our team and our lineup." Sandy Alderson: "Michael is a tremendous addition to the middle of our lineup. He is a proven offensive threat who also brings versatility in the field with the ability to play multiple positions." 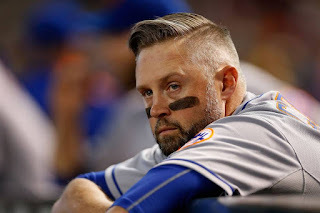 Mets Career: As Michael Cuddyer's Mets career began in 2015, he was the teams Opening Day left fielder & clean up hitter. A week into the season on April 12th he helped Bartolo Colon win his second game of the season, hitting a two run HR as the Mets beat the Braves 4-3 in Atlanta. Cuddyer got himself to the .300 mark in late April, but the former batting champ fell off from there & never got that high again. In late May he had a great series at home against the Phillies where he drove in five runs & hit two HRs while collecting five hits. On June 11th he had a walk off single against Sergio Romo & the San Francisco Giants in a 5-4 win at Citi Field. By early July his average fell off to the .235 mark & then nagging knee injuries kept him out of the line up for more than half the month. He did hit two HRs in the month & had a three hit game in St. Louis, but then on July 21st he went on the DL until August 11th. By now the Mets had acquired Yoenis Cespedes & young Michael Conforto was seeing more time in left field. Cuddyer's playing time was more limited to a part time role & his clean up hitting days were certainly over. In late August he had another monster series against the Phils this time in Philadelphia. 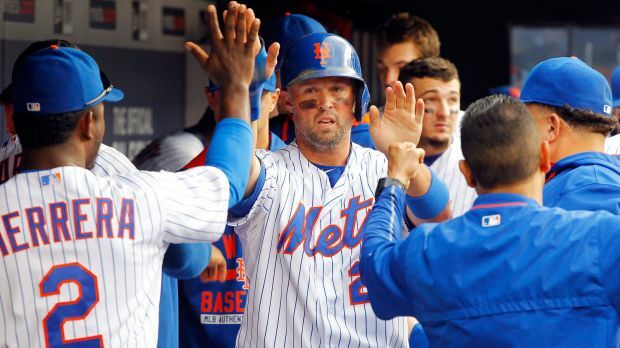 He had seven hits, hit two more HRs & drove in six runs in the Mets three game sweep during a seven game win streak. On August 25th his two run single broke a 4-4 tie & led New York to a 6-5 win. 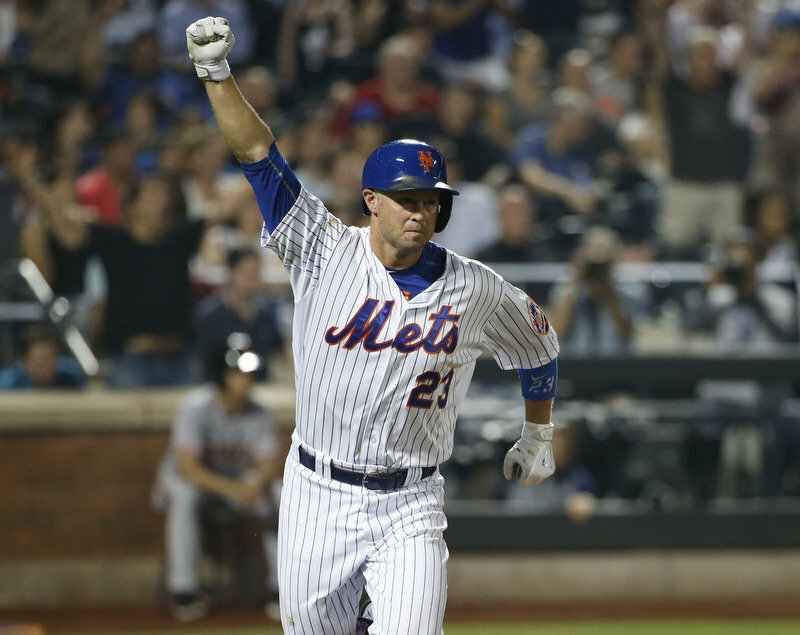 On September 26th, the Mets clinched the NL Eastern Division at Cincinnati in a 10-2 win. Cuddyer contributed with a two run double putting the Mets up 7-2. He would end the season batting .259 with 98 hits (379 at bats) 10 HRs 18 doubles 41 RBIs & a .309 on base %. It was his worst on base % of his career except his first season which he only played eight games. Post Season: Cuddyer would start Game #1 of the NLDS in Los Angeles, going 0-3, getting removed in the 7th inning. He also got a start in Game #1 of the NLCS against the Chicago Cubs at Citi Field. He got his only post season hit in that game, overall going 1-11 playing in six post season Mets games in 2015. After the season he had knee surgery in Philadelphia. On December 12th 2015 Michael Cuddyer decided to retire from the game after a 15 year career. He still had one more season worth $12 million on his Mets contract. 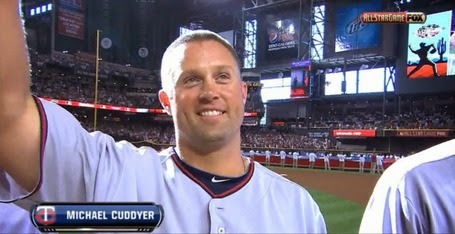 In his 15 year career Cuddyer was a two time All star with one batting title (2013) added to his highlights. He has played in 1536 games, hitting 197 HRs with 333 doubles 42 triples & 794 RBIs. He posted a .344 on base%, a .461 slugging % with 34 sac flies, 1101 strike outs, 527 walks & 75 stolen bases. In seven post seasons he got to one World Series (2015 with the Mets) batting an overall .306 with 2 HRs 2 doubles 7 8 RBIs in 28 post season games. He played 982 games in the outfield, 283 games at first base, 174 games at third base & 79 games at second. Family: Cuddyer & his wife Claudia have one son & twin girls. He is a childhood friend & still very close pal with the Mets Captain David Wright. A childhood virus has left him deaf in his left ear but he claims he never had a problem hearing while on the field.